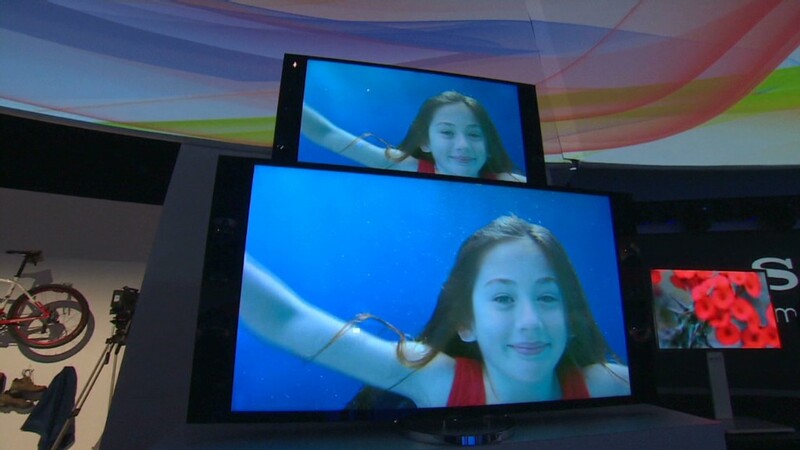 Every year at the Consumer Electronics Show, there's a big television advance to spotlight. Whether it's super-slim LED TVs, or 3-D TV or Internet-integrated "smart TVs," manufacturers always coalesce around a trend and hope consumers will follow their lead. This year is no different: A flood of 4K TVs is coming. 4K video, also known as "Ultra HD," has a resolution of 3840 x 2160 pixels. That's exactly four times the size of current 1080p video, and it's seen as the next big leap for TV and video technology. More pixels means more details. When you first look at a 4K display, the image depth is immediately evident. 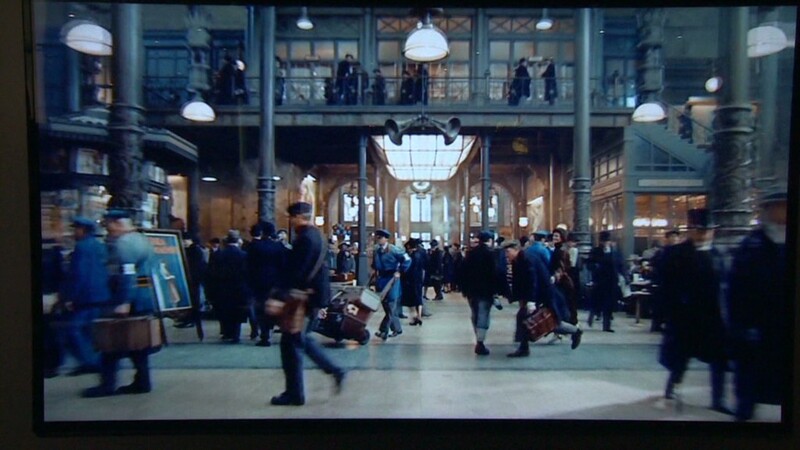 Most impressive is how sharply separated objects in the foreground are from the background of any shot. It gives an effect similar to 3-D, without actually being 3-D. Compare native 4K video to traditional content on the same size display and the differences become even more evident. If you sit too close, 1080p content starts to look fuzzy and pixilated on larger sets, those in the 60- to 80-inch range. To offset that drop in sharpness, home theater experts recommend sitting further away from the TV, so your eyes can't perceive those little details. With a 4K TV, however, you can sit closer and still have a detailed, vivid picture. It also means you don't need a living room big enough to accommodate an extra 10 or 15 feet of space between you and your TV. But 4K could easily become an industry standard that you will never, ever use in its full glory. Like the high-end speakers and turntables audiophiles swear by, this seems destined to settle as a technology that can be appreciated by the masses but is mostly purchased by wealthy enthusiasts. First, there's the physical size of these things to consider. Many people don't have the space or the desire for a television that's 60, 70 or 80 inches in size. Some claim you need a screen larger than 100 inches to really notice the benefits of 4K TV at a quasi-reasonable viewing distance. Next problem: The pool of 4K video content is virtually nonexistent right now. Sony has a small handful of native 4K movies available for download and Netflix (NFLX) is working with Samsung to offer some 4K streams, but that's about it. Uncompressed 4K content is a logistical nightmare. Short clips can eat up hundreds of gigabytes in storage space. No manufacturer has an answer for those problems yet, aside from pointing out the ability of these TVs to "upscale" current HD and Blu-ray content. That's great, but dropping tens -- or even hundreds -- of thousands of dollars on a TV to slightly sharpen your Blu-ray movies sounds like a waste. None of that is stopping every major manufacturer from charging into the 4K TV market. 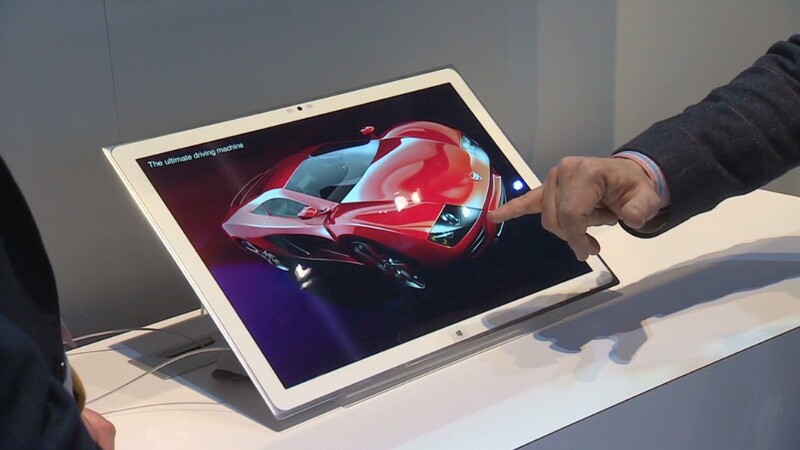 The models they showed off at CES will start arriving in the U.S. market over the next six months. Sony (SNE) and Samsung stole all the headlines with their respective 56-inch and 110-inch 4K TVs, which represented the most groundbreaking panels at the show. Sony's TV combines the resolution benefits of 4K with OLED backlighting technology, which provides the most brilliant colors and deepest blacks you can find on a TV. Samsung's TV impressed for its sheer size, and because the company is among the industry's best display manufacturers. But Vizio -- a company that's generally content to wait until the latest TV technologies become affordable before rolling out its own models -- showed up at CES with a 70-inch panel of its own, which did not disappoint. On another prototype set, it previewed the impressive glasses-free 3-D technology it's working on it its R&D labs. Suddenly Vizio is becoming one of the television market's innovators. LG, Toshiba, Panasonic and Sharp all have 4K sets of their own, each with its own slight variations in design, user interface, "upscaling" engines, and visuals. None were as grand as what Sony, Samsung and Vizio had to show off, but all are companies that have been producing quality HD TVs since the birth of that technology. Westinghouse and Hisense are coming in on the low-end, looking to push "budget" -- that being an extremely relative term here -- 4K sets. Neither company is considered a quality leader, but either one could get a leg up on its competition if it manages a 4K TV that's anything better than mediocre. Price is the biggest obstacle all of the TV makers will have to overcome. The smallest, cheapest 4K TVs from the likes of Westinghouse and Hisense cost $4,000 to $5,000. Westinghouse -- which isn't in the same quality league as a Sony or Samsung -- plans to sell its 110-inch 4K TV for a mind-boggling $300,000. Other manufactures wouldn't even touch the pricing question -- a sign that these things won't come cheap. A Toshiba representative told CNNMoney that its sets would be "aspirationally priced." Televisions in the 85-inch range are generally expected to go for around $30,000. So unless you've got a five-figure sum burning a hole in your pocket, you're probably not going to be taking home a 4K TV this year. But get ready for a marketing blitz to rev up those "aspirational" fantasies.